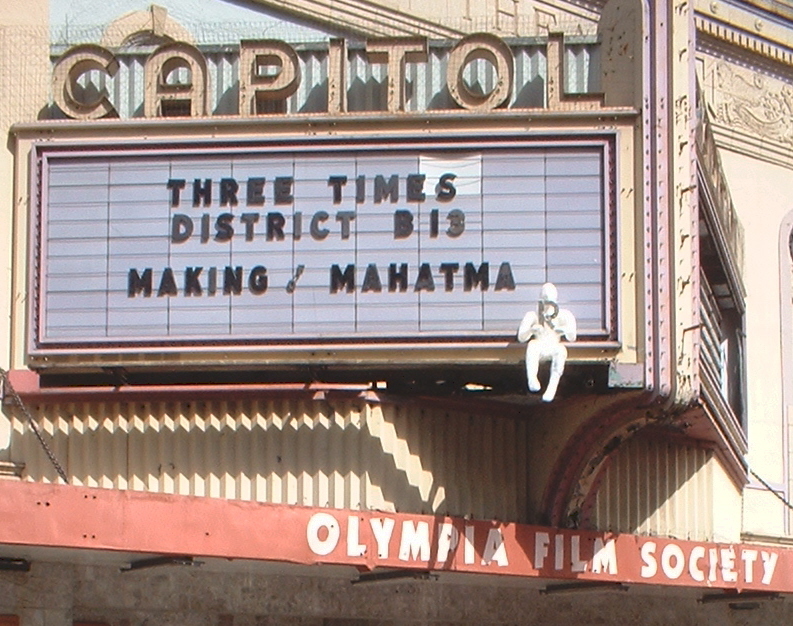 The Actor is now appearing on the marquee of the Capitol Theatre, while the Observer is sitting in the window of the Poppin Jay. 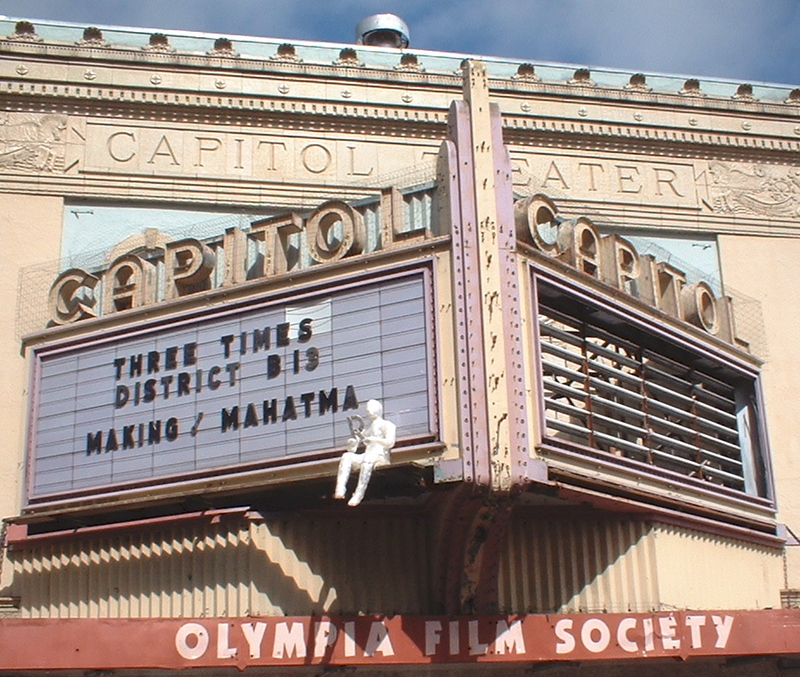 I will have to go back at night to get some photos; we placed the figure up there at 9 a.m. when it was still grey and overcast, but I went back at noon to take these photos. It is such a fascinating, beautiful old building; I wish there was more respect for historic buildings.